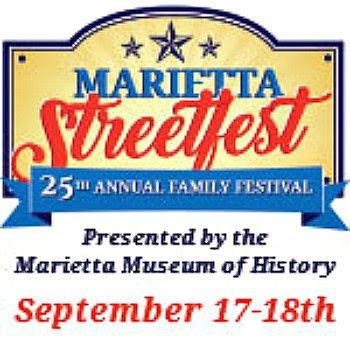 Marietta Streetfest September 17-18th Don’t miss out on a great time! , focuses on the family with activities including arts & crafts booths, the Hubcaps and History Classic Car Show, a kid zone, and the Toy Box Trot fun run. Head to Marietta Square to enjoy two fantastic days of outdoor fun amid a variety of shops, dining options, and historic sites. On festival Saturday, StreetFest attendees can also grab their blankets, lawn chairs, and picnic baskets to experience the Marietta Grassroots Music Festival featuring musical performances in a variety of genres by bands and singer/songwriters from throughout the metro Atlanta area.